Learn What a five star system looks like. Picture a beautiful day with a clear blue sky, birds chirping, and the sunset in the distance. 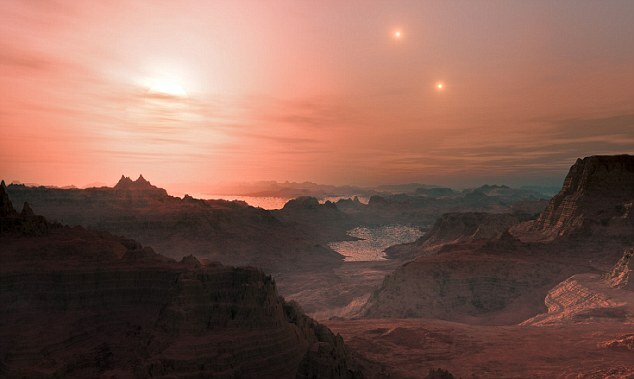 Now imagine this same landscape except with not one, not two, but five suns shining from differing distances in the sky! This reality exists in a recently discovered solar system, known as 1SWASP J093010.78+533859.5 (try saying that and not getting winded). Discovered through the SuperWASP project (Wide Angle Search for Planets) based in the Canary Islands and South Africa, the system stretches around 250-light years away from Earth and located in the constellation Ursa Major. The system’s composition sets it apart from an astronomer’s normal palate of stars. Two of the five stars exist in a contact-binary relationship, meaning they orbit so close to each other they share an outer atmosphere. If you’re imagining a giant peanut in space, well, that is essentially what we have got here. Two other stars exist as a detached binary orbiting the same plane with a separation distance nearly three million kilometers in length. Their orbits are far enough away that they do not assume the peanut-shape characteristic as the contact-binary. 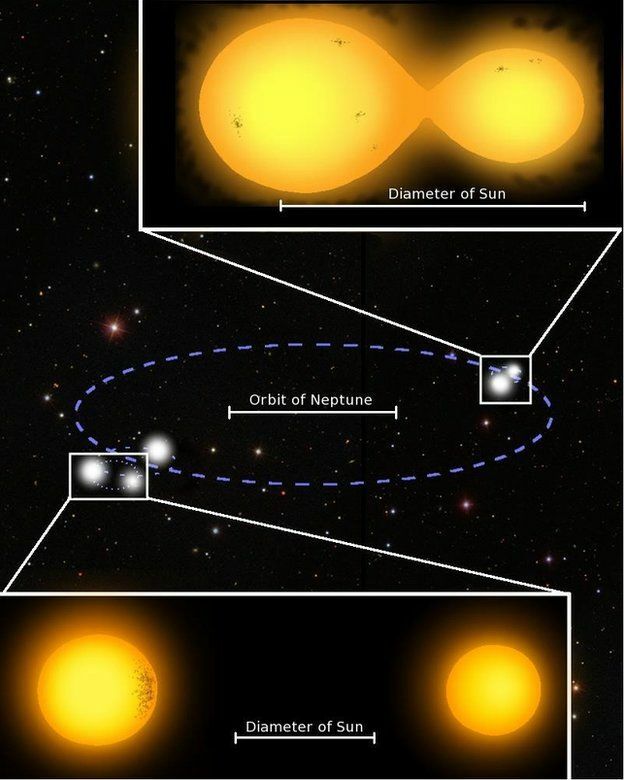 Further observation reveal a fifth star associated with the detached binary system. The five stars orbit around a center of gravity with the distance between them exceeding the orbit of Pluto. I would rate this unique system five stars in terms of awesomeness. Astronomy, five star system, five stars, Learn, news, science, stars, Sun, system. Bookmark.